Coworking Stop by, plug in & do great things. At The Frontier 800 Building, you rule the roost. It's easy to join the community–come in, pull up a chair and start working. 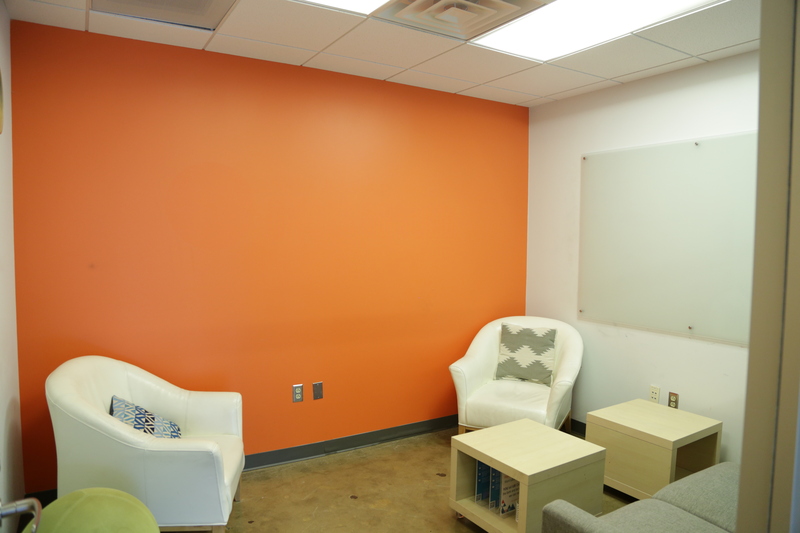 We provide free wifi and conference rooms that can be reserved for up to two hours. Our doors are open from 8:00am–5:00pm to anyone that needs a place to work. Whether it’s your next great idea, a team meeting, or just taking a breather over a cup of joe, it’s here for you to enjoy. It’s really that easy, and our way of saying we want you to be great. 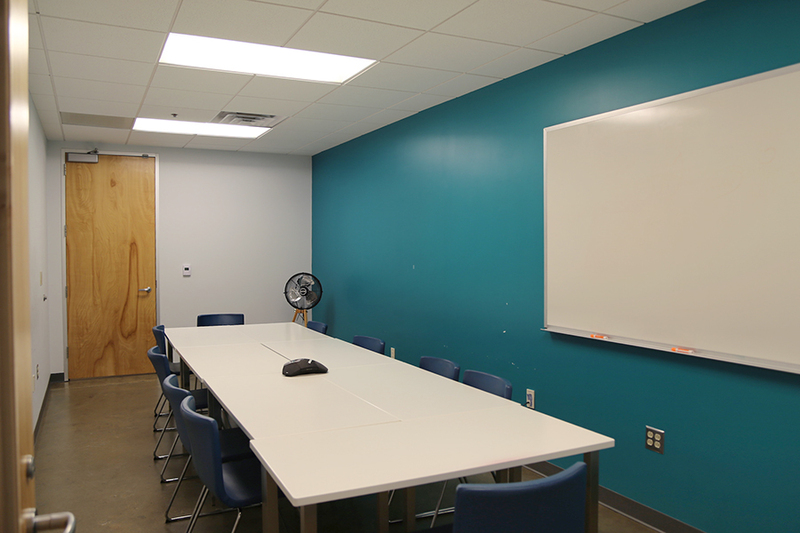 This room is great for small meetings or brain storming sessions. This is a great room for having a small team meeting, or hosting a Google Hangout. With views of Home Base, you'll still feel connected to the action without being right in the middle of it all. 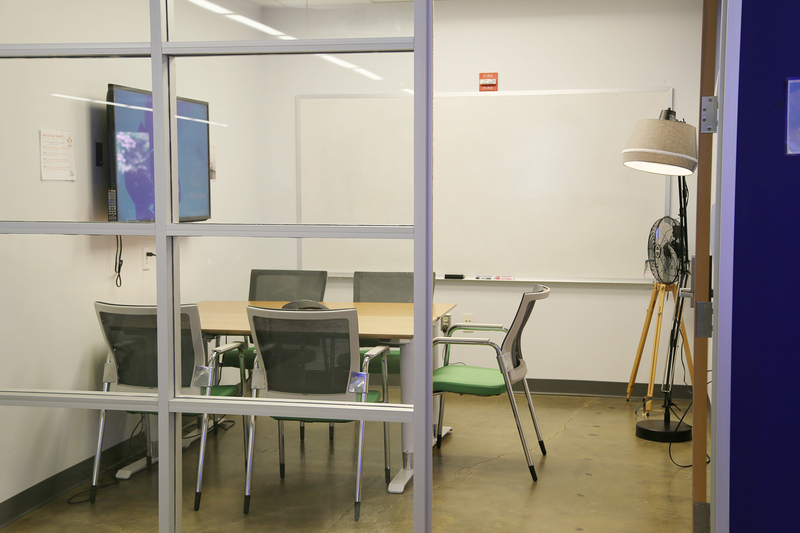 This smaller conference room faces out into Home Base and is ideal for 4-6 people. It's great for brainstorming sessions or meetings. 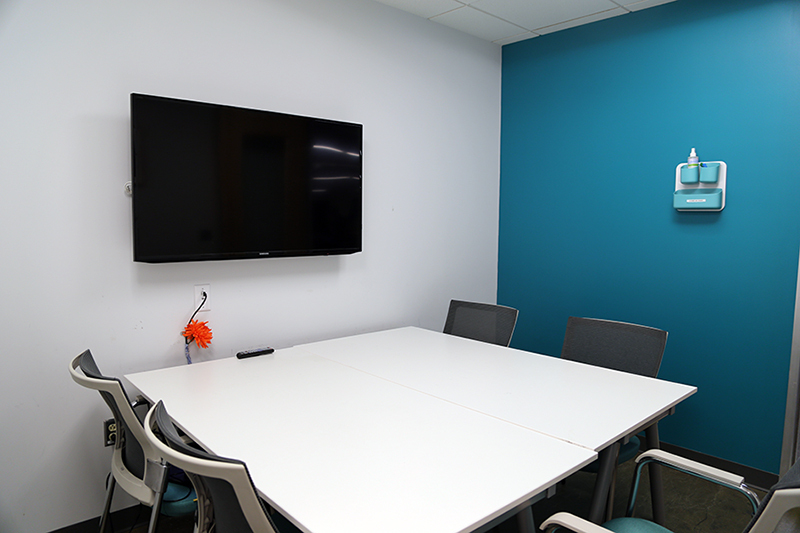 This room offers a semi-formal setting, perfect for closed meetings, conference calls, or for those times you just need a little privacy. 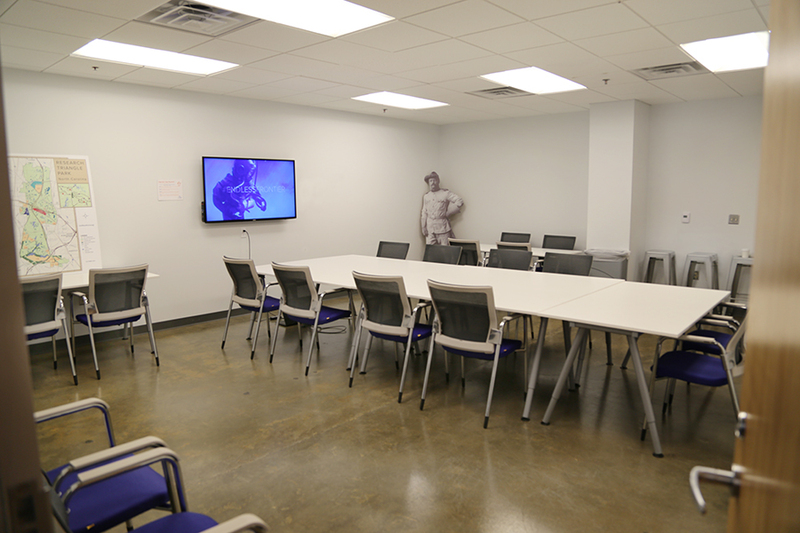 This room is also ideal for bringing in lunch for your team, as there's an extra table - but remember, setup is on you! This room is ideal for board meetings, large groups or luncheons. The tables can be arranged in a variety of ways, allowing for multiple kinds of interaction. When booking this room, it might be best to arrive early to make sure it's arranged to your liking.